Carter: Do you know that you're acting exactly like Malcolm? Jack: What's wrong with that? Carter: Nothin'. It's just... kind of creepy. Jack: Well, if I'm acting like Malcolm at all, you should be grateful. Carter: Well, uh, yeh, Malcolm got himself killed. Kinda like an independent flick but with some money and production behind it. Really puts the viewer in the deep woods (literally) with three ner'do'well pot growers, as their aimless world is suddenly blown apart. Thornton's cool-headed character manages to contain the panic and steer their efforts into capitalizing on the situation. But boneheads being boneheads, the ball manages to get fumbled. Jon Bon Jovi's small role was smoothly done. 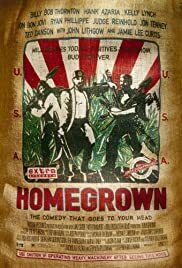 Billy Bob Thornton  ever since Trouble Bound' this commenter felt that here was a solid, off-beat talent waiting to happen. Overall, well cast with good location filming. Captures the spirit of the thing.